This is a RH paddle holster that came with the Canik, without the paddle. How is one expected to access the "finger release" back behind the paddle like that? 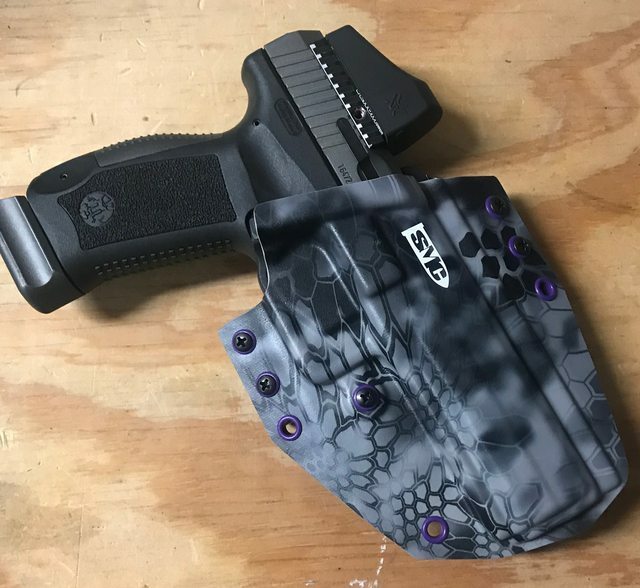 I don't use it, as I found a great company with superior quality for the whole TP9 line, just that the factory one just seems like it has a California self defense feature on it, designed to disallow access. I damn near put this pic in the gun humor thread. Bottom pic is the CNC stamped kydex model that I highly recommend, so I may have to put that in the reviews. 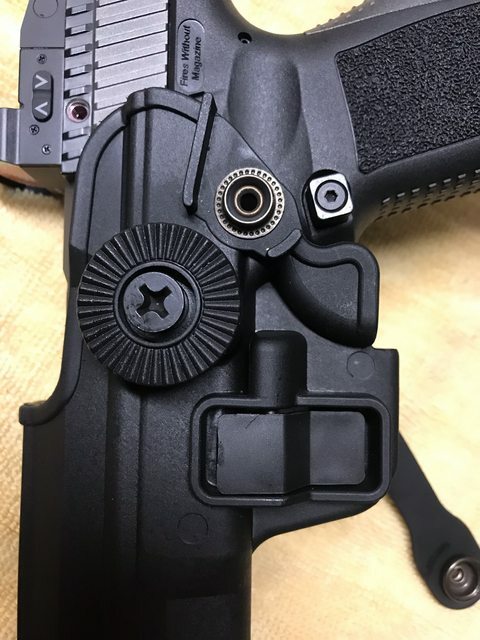 Show us a picture of the other side of the Turkish holster. Is it an ambidextrous release button? Or reversible, and somebody forgot to reverse it? K I’ll try to remember it when I get home. Davidsons Rep told me that it was a mistake made by the factory. Withdrawaling can be done without pushing the button. When supplies run out, corrections will be made. Not like I even use the dam thing, but mine will not withdraw. Release button is holding it good. The excuse of mistake by the factory sounds quite weak. The mold/machine that forms the holster would've had to have been engineered totally backwards....on purpose. But I guess stranger things have happened.